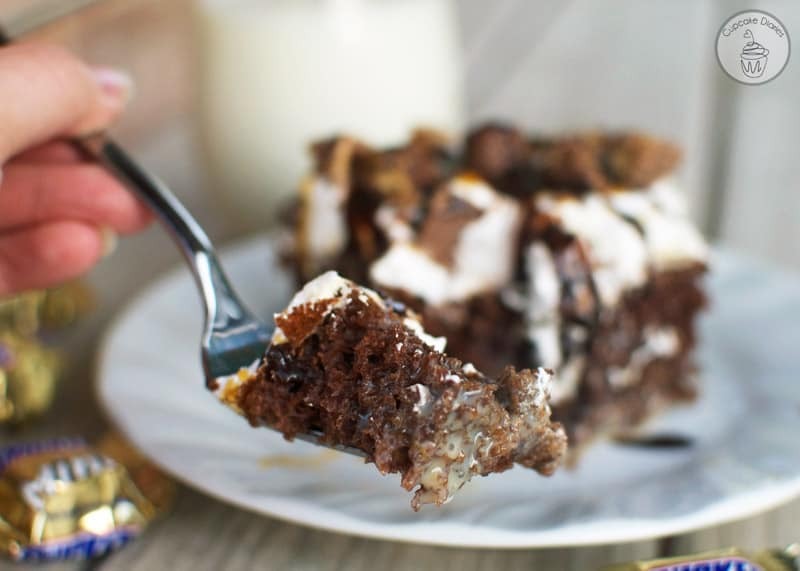 This cake is so decadent and yummy, yet it’s so easy! You wouldn’t think the cake itself came from a box. This is a great recipe for a party. This cake rules. I mean, it seriously rules. Especially if you love Snickers! We had some friends over last weekend and this is the cake I served for dessert. And it was fabulous! Everyone loved it and had so much to say about it. 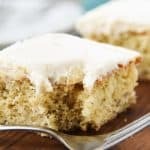 This cake is so moist, decadent, and looks like it took way more time than it actually did. 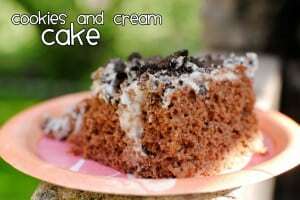 I’m all about box cake mixes and that’s exactly what I did for this cake. There’s hardly any work for such an amazing looking cake! Just look at the innards. So moist and full of all kinds of goodness. Love love love it! 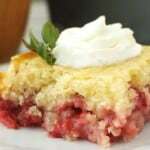 Place cake mix in a mixing bowl; add buttermilk, water, oil, and eggs. Mix for 30 seconds on low, scrape the sides of the bowl, then mix for 2 more minutes on medium. Place in a greased 9x13 pan and bake 30-32 minutes, or until a toothpick inserted into the center comes out clean. Cool completely. 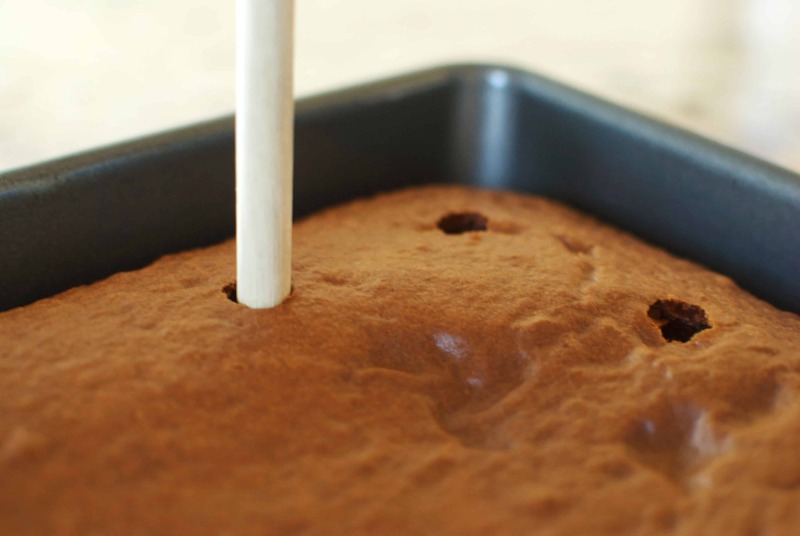 Using a wooden spoon or another spoon that has a long, thin, round handle, insert the handle into the cake to create holes all over it. Space the holes out about 2 inches. 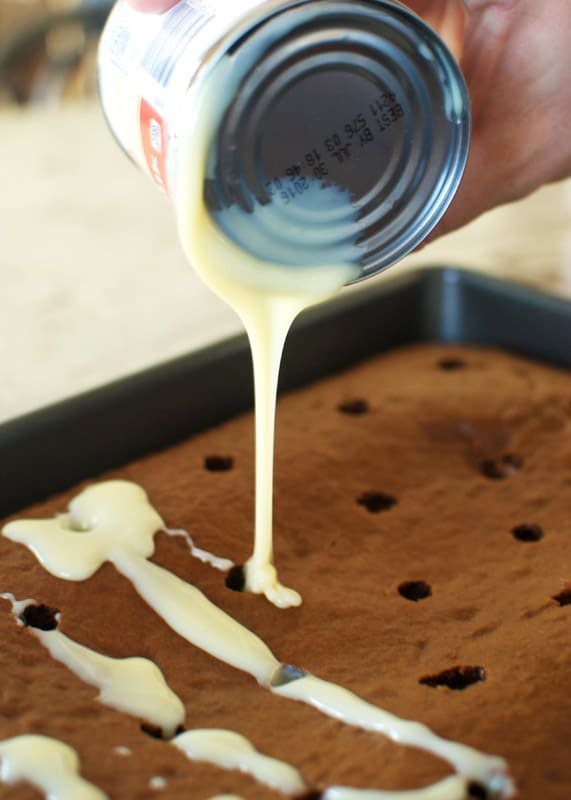 Pour entire can of sweetened condensed milk over the cake, allowing it to get into the holes. Then do the same thing with the caramel, using only half the jar. 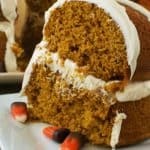 Cover cake with Cool Whip. 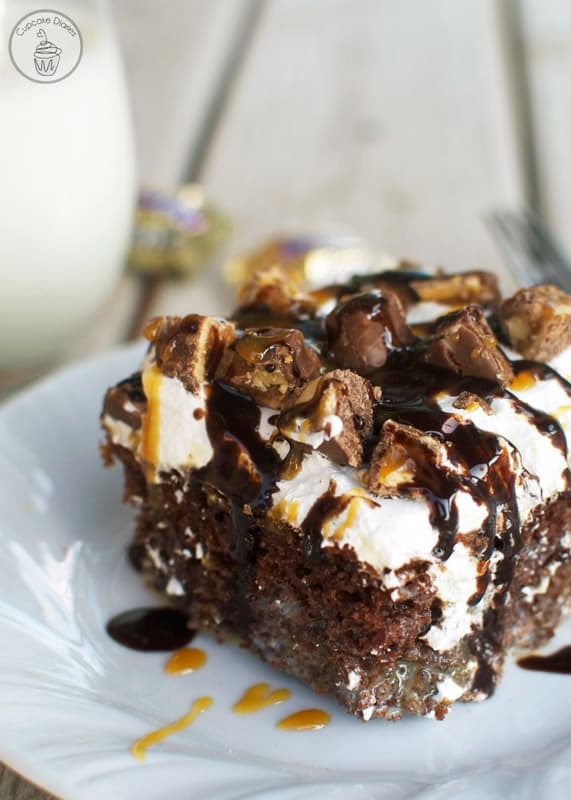 Then sprinkle chunks of Snickers Minis over the Cool Whip. 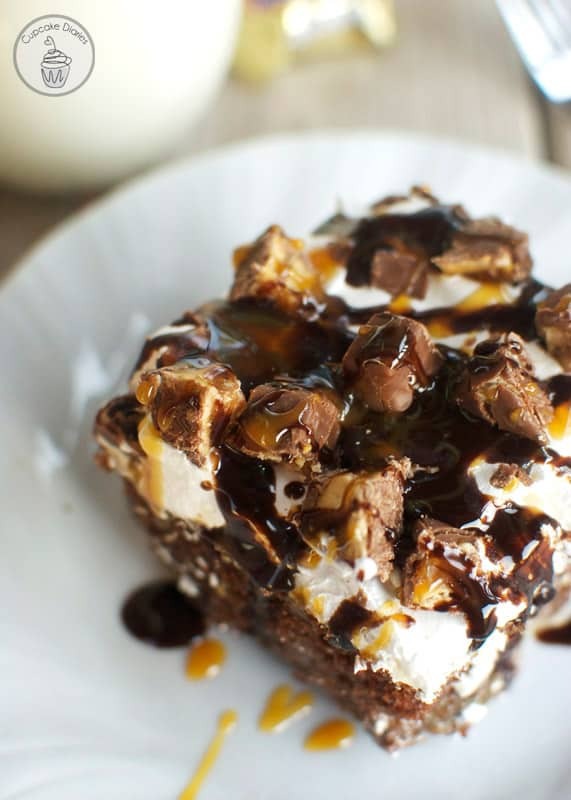 Serve with drizzled caramel and chocolate sauce. 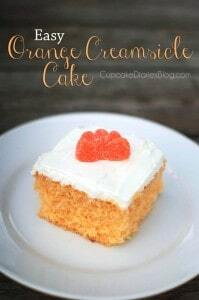 If you like this cake recipe, here are some of my other favorites! This looks amazing! My cake is baking right now I the oven, and I can’t wait to “decorate” it and eat it. Thanks so much for the comment! How was the cake? I hope you loved it! Hi Noelle! 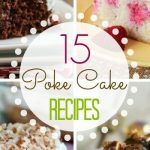 You have a couple of options with the cake. 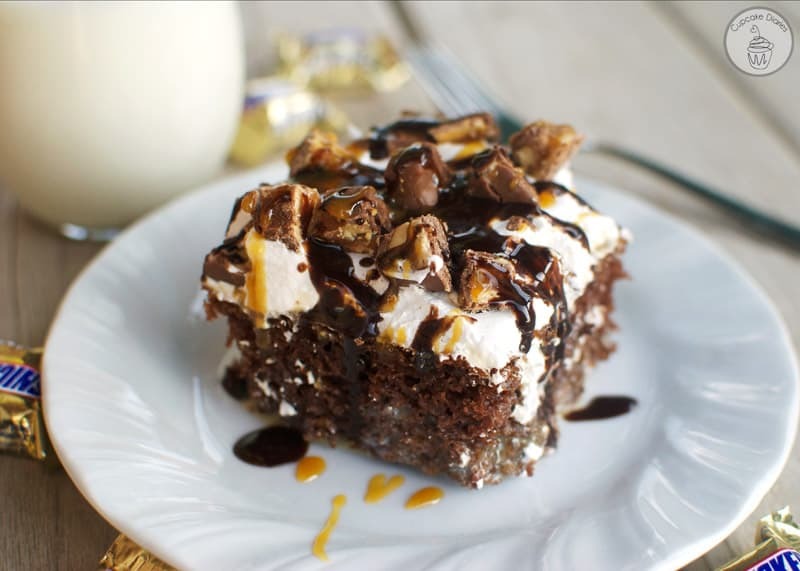 You can either bake it and leave the rest for tomorrow, or you can bake it and do everything up to the whipped topping and put it in the fridge then just add the candy and syrups on top right before you serve. Hope that helps!